While the Army continues to upgrade existing M4s to the deadlier, more reliable M4A1, Army leaders have mapped out a whole new list of additional improvements to the legacy rifle. The Army has requested from industry new enhancements to create what's called an M4A1+. The "plus" components would give the M4A1 an extended Picatinny rail, a floating barrel to enhance accuracy and an optional sniper-style single-stage trigger. "We're always trying to modernize and upgrade the weapon to make sure we've got the best weapon available," said Lt. Col. Terry Russell, project manager for Individual Weapons at Picatinny Arsenal. "There are no deficiencies that we're trying to correct; we're just trying to make sure it remains a premier weapons system." Earlier this year, the Army asked industry for examples of existing weapon upgrades that could be applied to the M4A1. Russell said the desired enhancements should require more research and development for the M4A1, used by special operations since 1994. "We are very confident that these already do exist, or that (companies) can develop them for us in short order," Russell said. The solicitation stipulated that all of the components "seamlessly integrate with the current M4A1 Carbine," and "without negatively impacting or affecting the performance or operation." The Army is expected to complete its conversion from the M4 to the M4A1 by 2020. The Army's request to industry would allow for the M4A1+ to weigh slightly more than the M4A1. 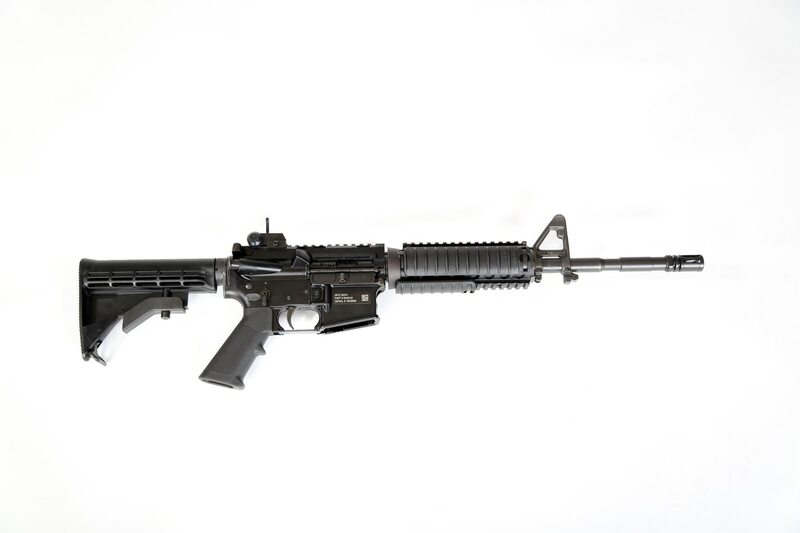 Unloaded and without accessories the M4A1+ specs say it should weigh less than 8 pounds. The unloaded M4A1 weighs 7.74 pounds. Here are eight key components that would give your M4A1 that added "plus." 1. Shoot with a straight elbow: The requested forward Picatinny rail, according to the Army specs, would be 12 inches long. That makes it about four inches longer than the current standard, and with reason. 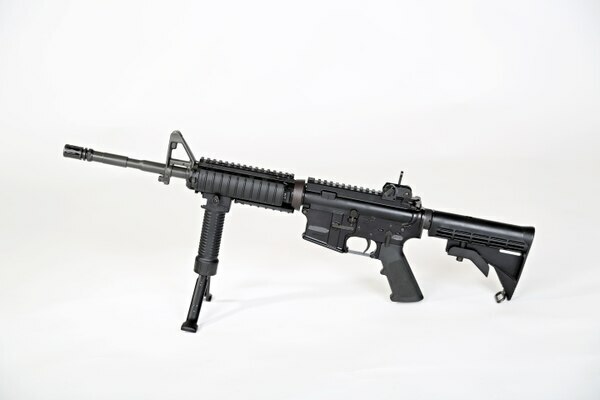 The M4 and M4A1 are designed to be held with a bent front elbow. But many soldiers utilize a technique in which they extend their arm and lock their elbow for better stability. That technique is a bad idea on current carbines because of a shorter rail, Russell said. For most shooters, extending the forward arm would put the hand past the end of the rail and require the shooter to hold the barrel instead — a good way to burn that hand. 2. Attach more gear: Along with hand placement, the longer rail would allow soldiers to attach more enablers to the weapon, such as laser sights and pointers, forward grips, bipods, optics and lights. "Right now, there's limited space," Russell said. "This allows you to put more than you are currently able to put on them." Russell said part of the reason for seeking enhanced mounting capacity comes with an eye toward the future: the Army's ongoing development of a rifle fire control system. The Army remains a few years away from a working prototype that meets its requirements, Russell said. But eventually, the system will effectively adjust the crosshairs in a scope to account for factors like distance, wind, humidity, barometric pressure, and ammunition characteristics. The longer rail of the M4A1+ will better facilitate the new tool, which Russell said the Army hopes will compare in size to today's optic systems. 3. Floating for accuracy: Encased in the new extended rail would be a floating barrel. In other words, the wrap-around rail would not touch the barrel. A rifle's barrel vibrates naturally when it fires, and altering the harmonics on the barrel can impact accuracy. When a rail is attached to the middle of the barrel as it is now, forces exerted on the rail do just that as they are exerted on the barrel. Forces can include the rigidity of the rail itself, weight of enablers, the pull of a sling mounted to the rail, or a tight grip by the forward hand on the rail. "A soldier holding it with a rigid grip can have an effect, and that causes some accuracy degradation," Russell said of an accessorized, non-floating barrel. "By having the floating barrel on there, it takes all those things out of the equation, which allows better accuracy." 4. Removable sights: The Army, Russell noted, wants to take weight off the soldier wherever it can. That's part of the reason the call to industry specifies removable front and rear iron sights. That feature would also allow for lower-profile enablers (that don't stick out as much). That would make for a less-bulky accessorized rifle with a lower center of gravity. It also would reduce the silhouette signature, Russell said, making it harder to spot. For soldiers who want the sights, there will still be a small, fold-down front and rear sight that can clip to the Picatinny rail, Russell said. 5. Better accuracy: In terms of system accuracy, the specs require a 5-inch mean radius from 300 meters, throughout barrel life. That means shots average no more than 5 inches from the target. Additionally, the Army hopes the weapon can limit the extreme spread of 5 inches at that distance and 10 inches at 600 meters, with a 90 percent probability. That goal, listed as "desired" rather than "required," means 90 percent of shots fit into a circle 5 inches in diameter (a 2.5-inch radius) at 300 meters, and a circle twice as wide at 600. 6. Flash suppressor. The specs request an improved flash suppressor to reduce both day and night firing signatures. That new muzzle brake, Russell said, should make a fired M4A1+ a little more difficult to see and hear. The suppressor should, according to specs, include a blank firing adapter compatible with M200 ammunition. (The adapter is the muzzle-blocker used in blanks-based training to minimize injury should the gun accidentally fire a live round). 7. Optional sniper trigger: One modification won't go on every M4A1+, but the squad marksman will appreciate it. A specialized trigger will offer sniper-like sensitivity, Russell said. Current carbines have double-stage triggers, with some slack to pull before the weapon fires. The specialized trigger module will be single-stage: the gun will fire basically once the trigger moves. "It's very sensitive to the touch. When pulling the trigger you don't have to pull it as hard, which allows you to maintain accuracy on the target," Russell said. "At shorter distances it (the difference in accuracy) is not that significant, but at longer range, it becomes more significant." Specs call for a "single-stage trigger, free of creep, with consistent trigger pull weight" of 4-5 pounds. It should work on both semiautomatic and automatic settings. The trigger module would be procured separately, meaning a different company may produce it, rather than the one that supplies the rest of the upgrades. 8. Stealthier: To reduce visual detection, the Army wants the colors of the new parts to be "neutral (non-black) color" of a "rough, dull, non-reflective, coating/finish that retains paint." The request specifies a brownish color, one between Coyote 498 and Light Coyote 481. In addition to the M4A1 and M4A1+, the service is weighing whether to pursue even more improvements via its Soldier Enhancement Program. SEP is designed to test off-the-shelf equipment that could improve a soldier's combat effectiveness. Many of SEP's ideas come directly from soldiers themselves. Leaders of SEP are considering testing the following commercially available improvements for the M4 platform. • A better tool to clean the bolt, carrier and firing pin. • Picatinny attachments that could insulate soldiers' hands from heat and protect accessory wires so they don't get caught on anything. • A heat resistant rubber, plastic shield or other polymer shield that can wrap around the pistol grip to insulate heat and optics to provide protection. • An integrated arms system including advanced fire control technology, with target tracking, environmental sensors, automatic ballistic calculation, heads up display and networking. • A hand-guard system that weighs 20 percent less and is thermally insulated. • A device that slightly raises the rifle combat optic and moves it back, improving ease of use. • A device that allows soldiers to zero their weapons (calibrate the sights so it accurately indicates where the bullet will hit) in any environment without live fire. • An ambidextrous, lightweight, rugged sling-mount adapter. The socket attaching a carrying strap to the gun should be mountable to a Picatinny rail in seconds and easily adjusted for comfort. • A device to fill the gap between the trigger guard and the pistol grip, one that cushions the knuckle and prevents finger abrasions.